For me, exposing my preschooler to tech is about inspiring him in his non-tech world too. So I tend to be drawn toward apps with a simple aesthetic that he can relate to. The new Windy and Friends apps are some of the best iOS apps (edited to add: And now Android apps!) for preschoolers because they are exactly that. 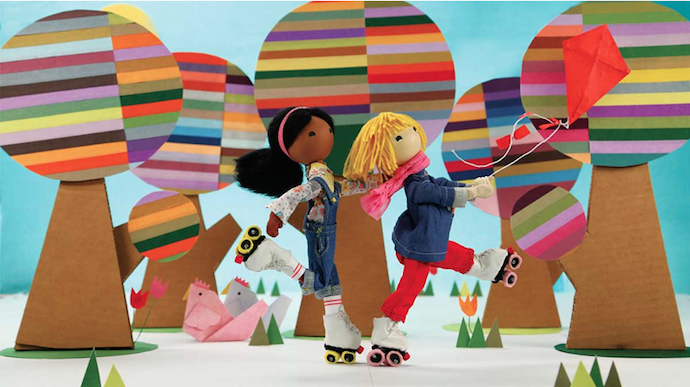 My son can interact with these stories about Windy and her friends, and afterwards, he wants to go—gasp!—put down the iPad and go play with his own dolls to create new Windy stories. Mama couldn’t be happier. From our friends at Canada’s Loud Crow Interactive, makers of apps like A Charlie Brown Thanksgiving, The Tale of Benjamin Bunny, and all the wonderful Sandra Boynton apps, the new series is also comprised of simple, interactive ebooks that will charm you with the execution. In Windy’s Lost Kite (iOS and Android) Windy has—wait for it—lost her kite, and she and her friends are trying to find it again. 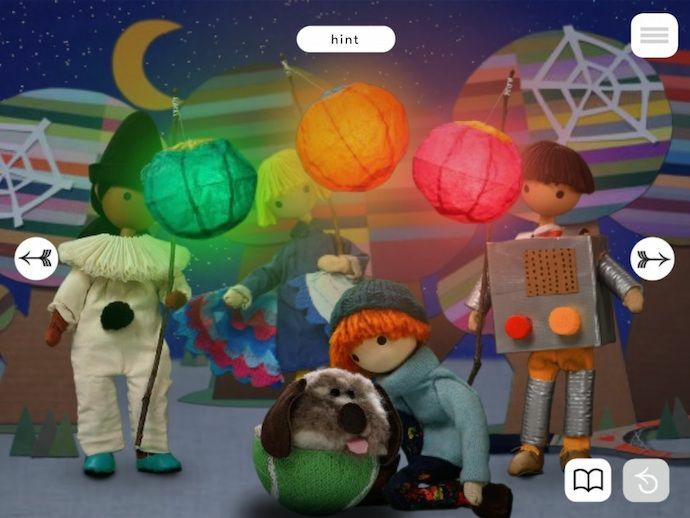 In Big Fright, the friends are getting ready for a Halloween party, but they stop to help Foggy, their dog, to be less scared of the noise and the dark. These are sweet and simple stories, perfect for preschoolers. As kids listen, they touch the screen to make the characters or scenery interact with the main character, Windy. Hints are provided if they aren’t sure what to do. However since this is designed for really little ones, I like that the interactivity is just for fun—there’s no puzzle you have to figure out before you can move on to the next screen. 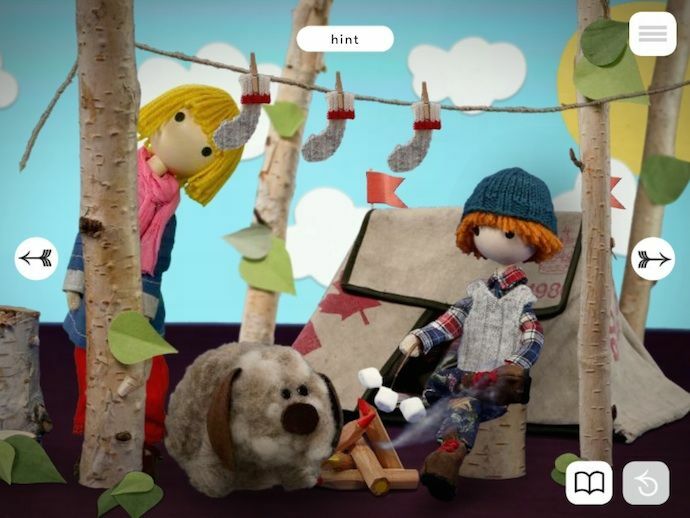 The apps can be narrated in either English (a young, calming female voice—think, nap time!) or an older, more animated male voice in French; you choose your preference. Or play around with both for a dual-language experience. But the best thing about them for me isn’t the foreign language exposure or the stories, it’s the adorable stop-motion animation that really does make the kids want to go get their toys out and create their own imaginative tales. 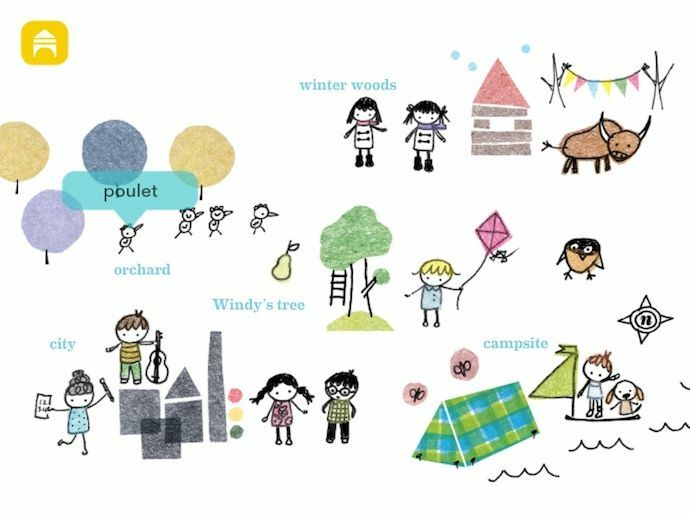 There are two bonus features to play around with as well: A Word Map (shown above), which teaches kids the English and French names for items Windy encounters in her story. And then there’s the Soundboard, which enables kid to create music by touching the different instruments the illustrated characters are holding. Cute, right? 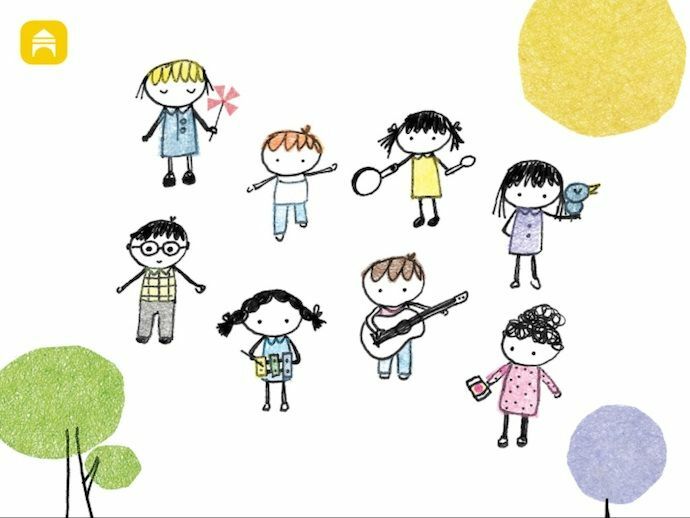 Three cheers for artfully designed, smartly constructed storybook apps for kids that inspire them to play, learn, and simply have fun. Even when the tablet is turned off. Download the Windy and Friends apps for your iOS device at iTunes for $2.99, and find Windy and Friends apps for Android for the same price on Google Play. Totally worth it. Edited 11/8/14: If you need more Windy and Friends, they’ve added another e-book called Sunny’s Dark Night!